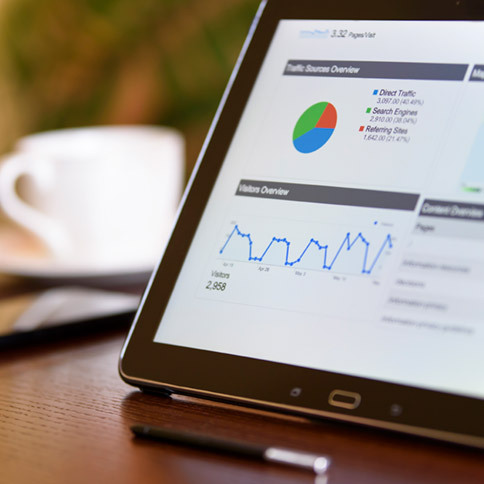 Search engine optimization is a buzz phrase that most people have heard, but many don’t know what it is or what it means for their website. SEO is the practice of making your website search-engine friendly so you can appear as high as possible in search rankings. Search engines use a complex algorithm to decide the order of their rankings, and they keep changing what’s included based on changing trends like increased mobile usage, security concerns, etc. It’s important to know a little about how they rank sites so you can know what you should be concerned about. We’re always asked about SEO and what you can do on your own, so we’ve put together some tips on DIY SEO to help you get started. Keywords: Search engines crawl your site looking for things that people are searching for like “Restaurant in Phoenix, Arizona”. It’s great to have your top keywords used often throughout your site in things like meta descriptions, page titles, urls, body copy, image alt tags, etc. Mobile-friendly: Mobile usage keeps going up and search engines are prioritizing sites that are mobile-friendly for mobile users so this is very important these days. Security: Security is an ever-growing concern and search engines have started giving preference to sites that use an SSL over ones that don’t. Make sure your site uses an SSL certificate and delivers content securely. Length of time online: Older, more established websites are given priority over newer websites that haven’t been around very long. They also like when your domain expires far in the future versus having an expiration date in the next year. Inbound links: These are other websites that link to your site, telling search engines that your site is worth giving credit to. The more inbound links you can get the better, but bigger websites have an even greater impact so it’s important to seek out quality sites. Pick your keywords: Keywords need to be used throughout your site where ever possible in a relevant and useful way for your readers. Picking your keywords will help you plan out your content, titles, etc. Think about what people would search for to find you. You can use Google’s Keyword Planner tool to help get some suggestions. Write good, quality content: Relevant content that is geared towards actual users is key. Search engines will penalize you for overusing your keywords in a manner that doesn’t suit your readers. So make sure it’s well-written, useful for your users, and includes your keywords as much as you can. Add unique meta descriptions: Meta descriptions are used for the short description after a page title in search results, and this a great place to use keywords as well. Add alt descriptions to your images: This is another great place to use keywords and add more relevant, searchable content. Inbound links: As we mentioned before, it’s important to have lots of quality incoming links. Find relevant directories in your industry to list your company, reach out to bloggers or people to review your products and services, or network with people in complementary industries and link to one another. Create profiles on Yelp, Google+ and Facebook: These are more great inbound links and are all quality sites with high rankings that will be prioritized. Interact on social media: Search engines like to see social interaction and keep track of how much you’re out there interacting. Create profiles on social sites for your company and stay active on them. Guest blog: This is a great way to show your expertise in an industry and get some quality inbound links. You can blog for industry-specific sites, business sites, or anything that would be relevant to your industry and what you are knowledgable in. There’s a lot that goes into search engine optimization and how search engines decide where to place sites in their rankings. It’s important to remember that when you first publish a site, it’s going to take a while to gain some traction with search engines and get them to notice you and move up in the rankings. Creating a site that is well optimized for search engines is a great start, and staying consistent and active online will really help. Good luck with your SEO journey and let us know if you have any tips or stories you’d like to share in the comments area below!